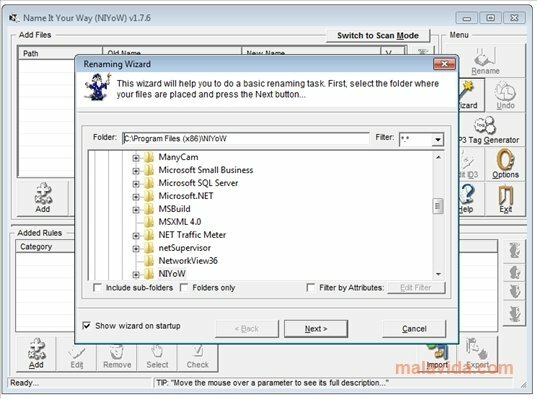 Name It Your Way, also known as NIYoW, is an application that has been designed to change various aspects of file batches with a single click of the mouse. The program has a graphic aspect that is similar to that of a music library manager, with the difference that this development doesn't store the data, is serves to change its name, the extension or one of the ID3 tags properties in the files that are compatible with this standard. The application has an assistant that will guide you step by step in the renaming or file change process. 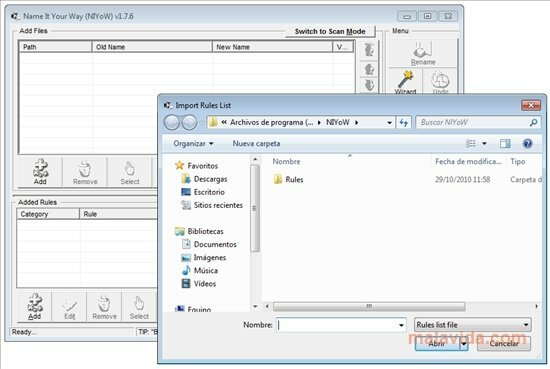 This program is an ideal solution for those users that have folders with files that a completely disordered (the photographs from a party or some holidays, for example) and that want their names to have some coherence. It also has a tag generator for MP3 files, a system to rename files using the information that is hidden in the tags and a system to get rid of the changes with a simple button. 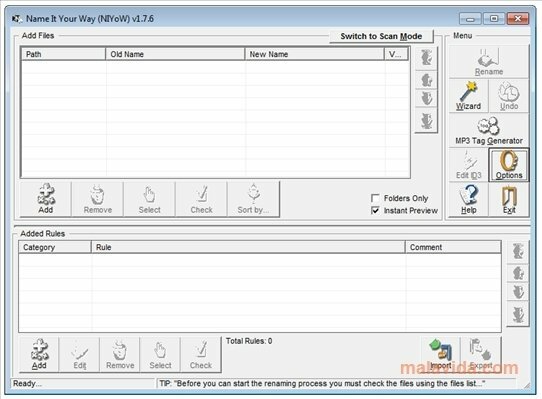 Download Name It Your Way and discover an ideal tool to work with many files simultaneously.